Do you have a specific health or fitness goal you have not been able to achieve, perhaps even with the help of a run-of-the-mill certificate qualified personal trainer? Our professional strength & conditioning coaches will bring the difference you need to smash your goals. Our science-based and industry proven methods will give you the mental and physical edge you need to achieve lasting health and lifestyle changes. 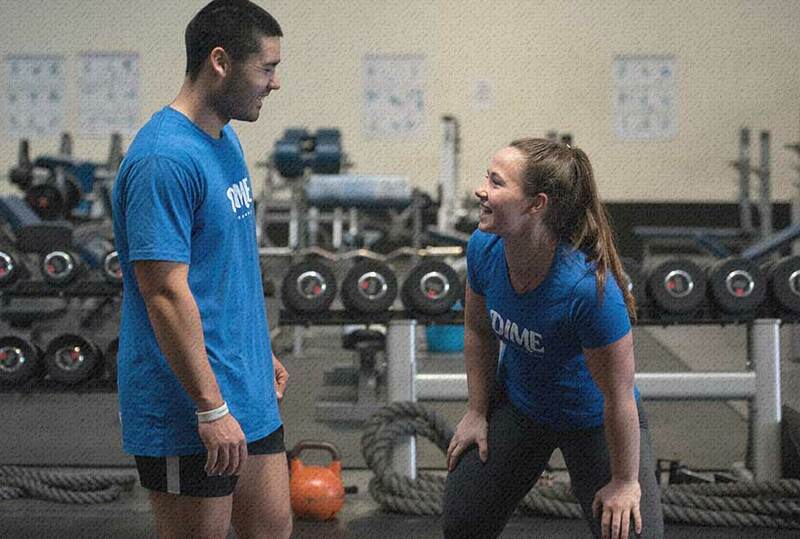 DIME Performance’s 1:1 Training will transform you into your fittest, strongest and healthiest self. Your training program will be designed to fit your personal goals and current ability level. Your training programs will be designed in 4 week training cycles, proven optimal for achieving the best weekly and monthly progression. This also allows our coaches to use an innovative periodisation plan that accounts for your changing individual requirements as you progress through your training. Each 4 week cycle is built on top of the other, allowing for continued progression. The first week will involve putting you through a series of exercises that will inform your coach about your current ability level, any movement limitations and any injuries. From this movement screen, your coach will design your first 4 week training program that will form the foundation of your training.